ca 480 - 470 B.C. King Acrisius commands his daughter Danae and her son Perseus be set adrift at sea in a chest. 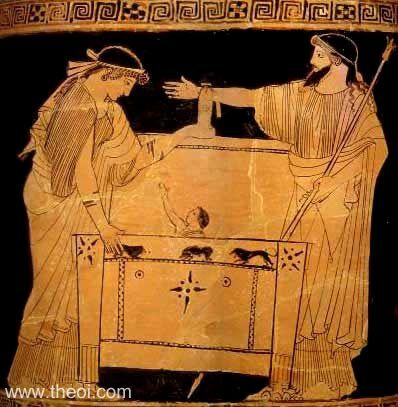 The infant Perseus sits inside the vessel as Danae prepares to climb inside.